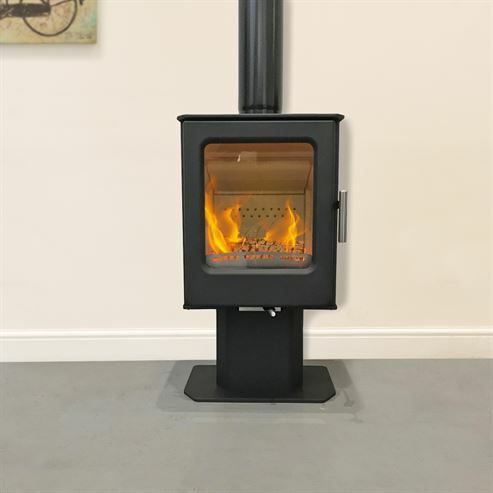 Ashcott is new the latest design from Mendip stoves, it has a deeply scultured cast iron door, convection top plate and cast iron legs. 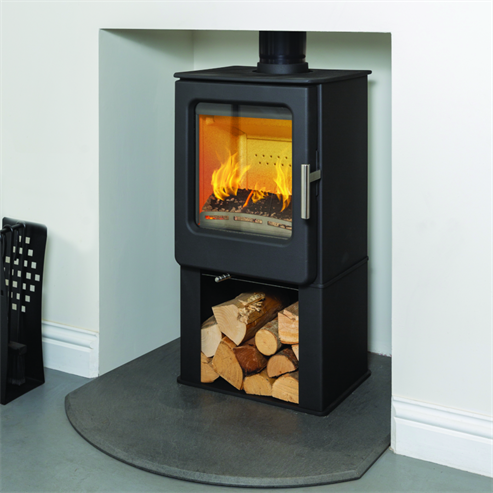 The Ashcott is a pleasure to use and with its milled, stainless steel air control lever it is easy to achieve an efficient burn, so you get the most out of your fuel. Complete with matching milled, stainless steel hinges and door handle, as well as a magnetic door mechinism for easier closing, you will want to use this stove everyday. 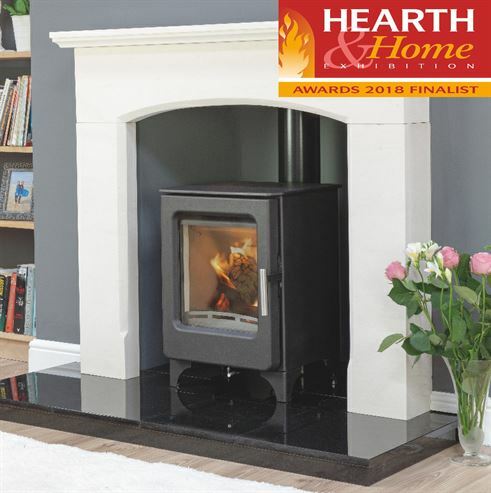 The compact design of the Ashcott is a perfect blend between classic and comtemporary styling and delivering a cozy 4.7kW of heat means it is well suited to most rooms. As an added bonus the Ashcott possesses a direct external air connection as standard.